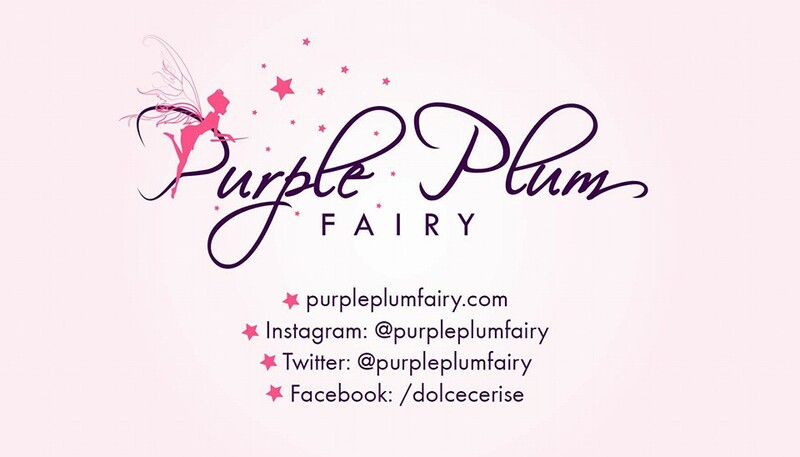 Realizing that there weren't enough good neighborhood salons in the country that offers all-your-beauty-needs+pampering venue, entrepreneur couple Janice and Boogie Carin opened Simply G Salon and Spa in Presidents Avenue, Paranaque City. Time to let your hair down and set your inner goddess free. But be sure to let the cool Christmas breeze blow in your favor by fending off the frizz. Start the Christmas season with a bit of pampering at Simply G Salon, whose services include hair, nail, face and body care. 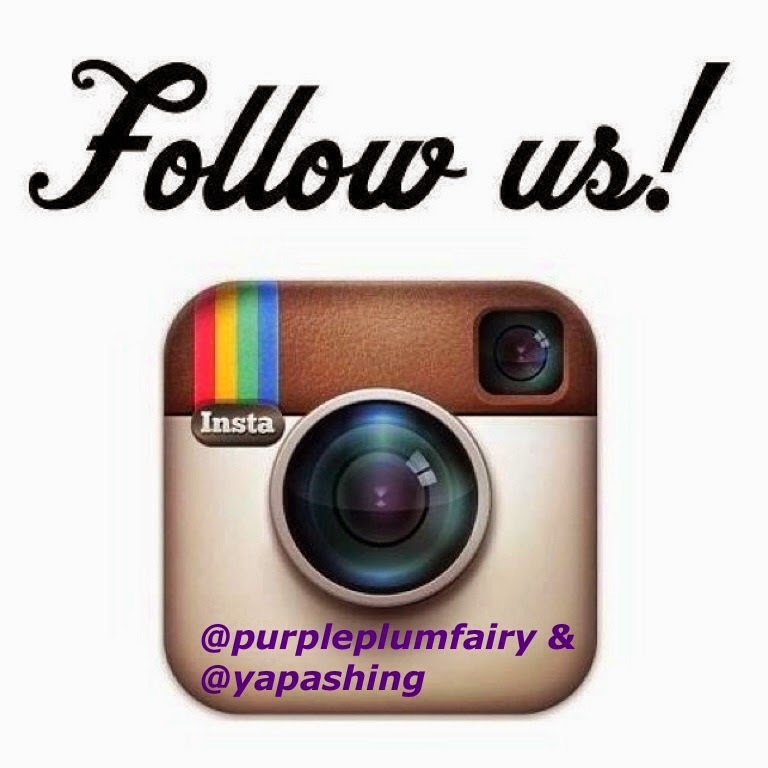 Doing our daily chores, like dishwashing and laundering, leads to dull nails and dry hands. Bring back their original glory with nail art manicure and hand massage treatments or opt for a more conventional spa pedicure + foot spa, which includes exfoliation and foot massage. Simply G Salon offers facial, waxing, brow shaping, facial treatments, radiofrequency, eye lash extensions, and hair treatments such as trim, color, Brazilian blowout, perming, hot oil etc. I fell in love with the set-up, the ambiance and the service. Minimalist in design, but girly shades abound, Simply G Salon had a cozy environment with bright pink chairs, pink pillows and soft white couch. A stock of magazines and amiable staff ready to help and assist customers will welcome you. The owner promised that soon there'll be a free Wi-Fi (something we all look for in any establishment) are great bonuses. A combination of white walls and big window panel makes for a relaxing ambiance. Two private rooms are available for those who want to get a facial treatment or other services such as eyelash extensions. Irene, the receptionist, was very helpful as well, as she was more than happy to brief me about Simply G Salon and Spa and what the offerings ate. Simply G Salon and Spa has a wide variety of nail colors to choose from and use brands like Orly, Sally Hansen etc. I also love the fact that it has premium packages that are very affordable and worth your every penny. 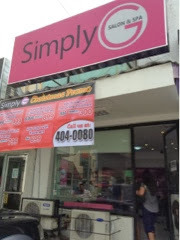 Simply G Salon and Spa has treatments that cater to her, him and even kids. I tried the leg waxing, had a foot spa and manicure. Simply G Salon and Spa's foot spa combined with a reflexology treatment. I enjoyed every minute of it! It starts with a soak in warm water followed by a special cream dabbed in cotton balls to soften rough skin, then moves on to a scrub. 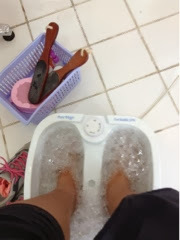 The able staff then rinse your feet and legs, dry them with a towel, remove those callouses and they do foot reflexology for 10 minutes, then apply a minty lotion on legs and foot, then a spray. The result? Totally heavenly and velvety legs. I was even given a free advice on how to further pamper my toes. Before sleeping, put some Shea butter on hands and petroleum jelly on fingers and nails before wrapping them either on cling wrap or on socks to soften rough skin. 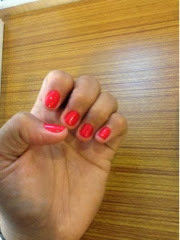 The overall experience was delightful, as the nail technician worked her magic on my legs. The nail technician is well-trained, both in customer relations and technique, so you don't have to worry about them blabbing away if you jist want to relax, or having your cuticles inadvertently nicked or ingrowns painfully picked at (like in another nail salon I tried). It's a relaxing indulgence for any woman who has a few hours to spare to get her hands and feet in lovely fighting form again. A new season calls for a new look. Turn heads with an edgy cut or be the envy of many with bold highlights. 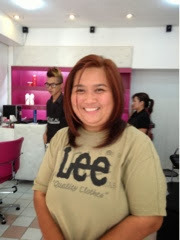 At Simply G Salon, leave it to professional senior stylist and hair color expert Marvin Bituin to pull off that playful three-toned color with his superb dyeing and styling. I had my trust in Marvin's hands--my only requirement was, I wanted to see red streaks or shades of red on my hair. I had always wanted to get a red hair since I saw Jennifer Gardner's character Sydney in the TV action program called Alias some years back. But I knew I'm no mestiza so it won't really look good on me. I just had to contend with red streaks instead. According to a study I once read from a popular women's magazine, women subject their hair to 150 blowdries, seven chemical processes such as coloring, permanents and rebonding, 5,475 brush strokes and 115 pony tails per year. These contribute to the wearing down of your hair fiber, but it's the chemical processes that cause higher levels of erosion. For extreme damage, there's Simply G Salon and Spa Keratin treatment to response breakage points and fill in split ends, revitalize hair fiber, ceramides to smoothen and protect hair. I really like Simply G Salon and Spa because you can really relax without worrying about what's going on outside the glass doors of the salon. The staff is very accommodating. I think more than the treatments offered, a true quality of a good establishment is how its staff relates to its customers. 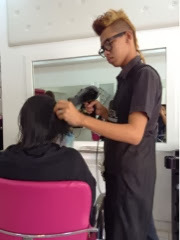 I came out of Simply G Salon feeling prettier and more confident. For such simple treatments, my hair came out looking softer, bouncier and had more body. 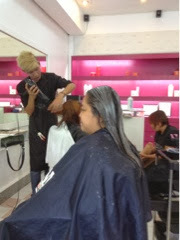 In fact, people kept on complimenting me on my hair highlights and hair color. It made me realize that my hair has always been my last priority but you'll be in good hands with Simply G Salon--they'll make your tresses looking healthier and your look a whole lot prettier. And it makes such an impact, not just on others but on how I feel about myself. Looks like they offer a full range of salon and pampering services at Simply G Salon and can cater to the whole community in Paranaque. 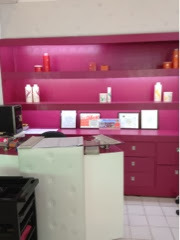 It is good to have a salon and spa in one which is accessible like the simply g salon and spa. Wow I love the overall result of your hair! So chic and pretty! I must admit that some of the things that "attract" me to a salon is their equipment, salon ambiance, and expertise of the staff. Looks like G Salon and Spa got it right! 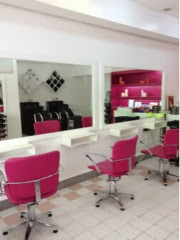 I love the color motif of their salon very girly yet with an edge since I can see pink, white and black. 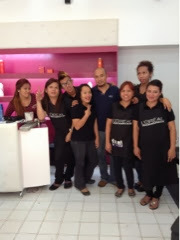 Its nice to go to a salon and spa that is relaxing and the staffs are friendly. 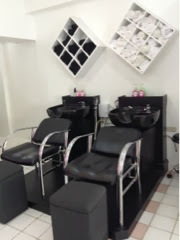 Some salon and spa like this can be checked out online, beauty deals are available in online deals philippines.